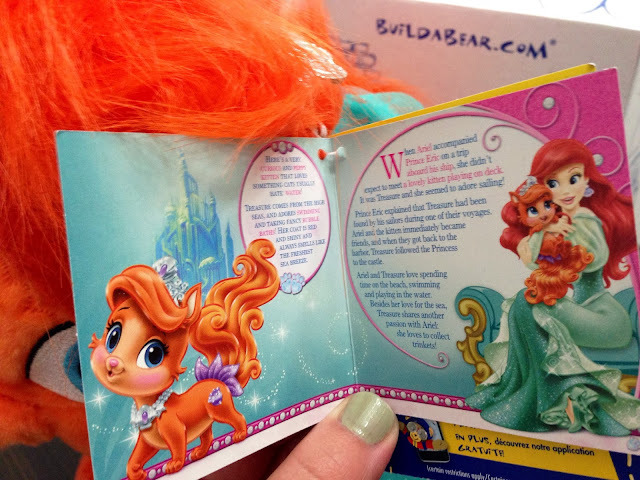 Picturing Disney: Introducing Palace Pets! & Win a Build-A-Bear Workshop Gift Card! Introducing Palace Pets! & Win a Build-A-Bear Workshop Gift Card! 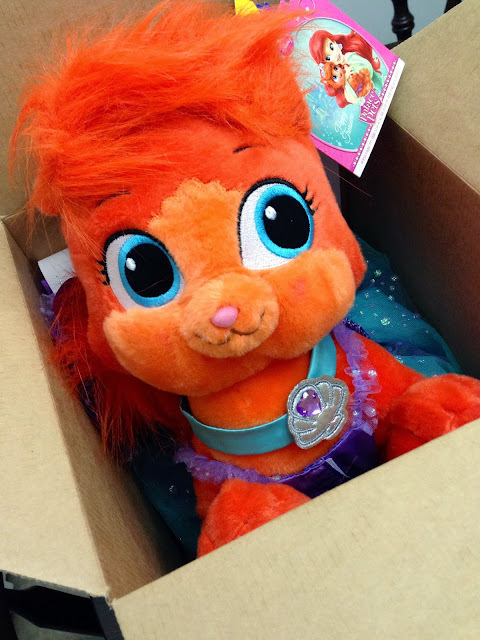 I received a package from Build-A-Bear and I was pleasantly surprised to find the adorable Palace Pet: Treasure! Can you guess who's pet she is? Treasure is one of two new pets coming to Build-A-Bear Workshop! Treasure is adorable and the perfect pet for Ariel. Her accessories are worthy of any kitten who's owner was born under the sea! She looks fun and playful! 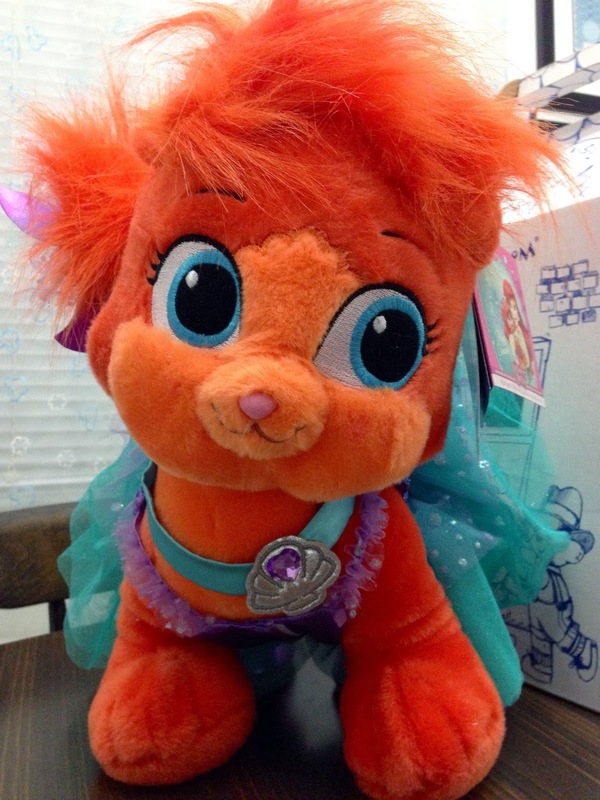 Treasure ($25) is a curious and playful coral red kitten. Treasure likes to wear her Purple Fancy Dress ($13.50) and Disney’s Treasure Accessory Set ($12.50) to grand events at the castle. 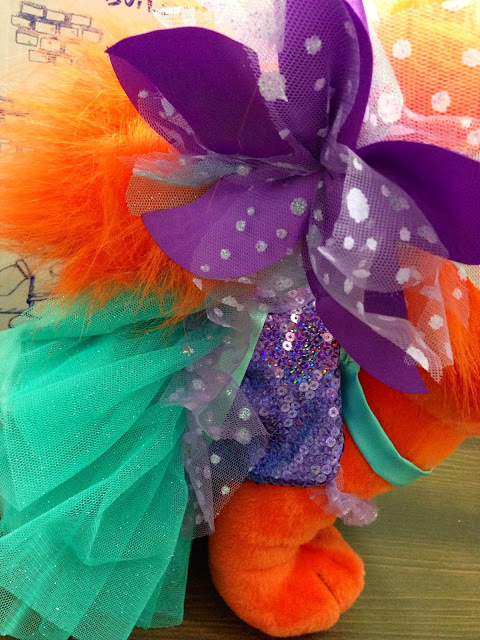 Treasure is not the only new Palace Pet coming to Build-A-Bear Workshop, Cinderella's Puppy Pumpkin is on the way too! Pumpkin ($25) is a glamorous, silky white puppy owned by Cinderella. She has big blue eyes, a small brown nose and her hair is styled in a fashion similar to Cinderella's hair. Pumpkin likes to wear her Blue Fancy Dress ($13.50) and Disney’s Pumpkin Accessory Set ($12.50) to royal balls where she can twirl and dance. As if the Palace Pets and their adorable accessories aren't cute enough, how perfect are their names? Treasure and Pumpkin! Build A Bear is on point with this new collection. 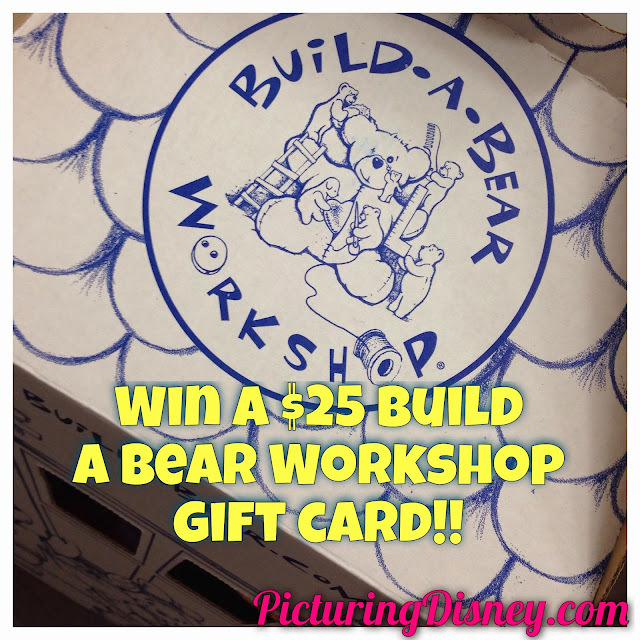 I am thrilled that Build-A-Bear Workshop is sponsoring a giveaway for our Picturing Disney readers!